A biofuel can be defined as a type of fuel that is derived from living or recently dead organic matter/biological material. It can be in solid, liquid or gaseous state. Biofuel can be used as an alternate of fossil fuel. But mostly it is used to power cars, heating and cooking at homes. It can be used to generate electricity as well. Contrast to fossil fuel, which takes million of years to form and scarce in nature, it is a renewable energy. In addition, fossil fuel contributes green house gases in the atmosphere, but biofuel is nearly carbon neutral. It is because the plants used in biofuel production have already removed some carbon dioxide from the atmosphere. But there are some doubts/debates going on regarding carbon neutrality of biofuel during its commercial production and applications. Although biofuel can be produced from any organic matter or carbon source the most common practice is to use photosynthetic plants. The most common plants used in biofuel production include corn, switchgrass, soybeans, rapeseed, wheat, sugar beet, sugar cane, palm oil, cassava and jatropha. Biofuel can be produced from other form of waste biomass as well, like straw, wood chip, manure, sewage sludge and food waste. Ethanol is a high- octane alcohol that can be used mostly on all standard vehicles after blending it with gasoline (up to 10%). There are some specifically designed vehicles for ethanol that can run with as much as 85% of ethanol blend. Biodiesel is the type of biofuel that can be used in pure or blended form in most of the diesel engines. Its better lubricity and quick igniting capacity puts it in a higher position than the traditional diesel. But it is not very suitable in cold temperature because of its viscosity loss at lower temperature. So in cold weather countries, like Canada it is blended with petroleum based oil. Biogas is a methane enriched gas (approximate 60% methane content) is produced through organic matter decomposition and breakdown through the anaerobic digestion process. The feed stock of this process can be either organic waste, biodegradable material or various energy crops. The end product of the anaerobic digestion process, digestate in its dry form can also be used as biofuel. Syngas, a short version of synthesis gas is mainly a mixture of carbon monoxide, hydrogen and other hydrocarbons and produced via partial combustion/gasification of organic matter and biomass. This syngas can be further converted to other common fuel such as methanol and diesel. An innovative usage of syngas is to use it directly to power a hydrogen fuel cell. Syngas can also be burned in an internal combustion engines. Biofuels can also be categorized based on source material/feed stock types and their extracting/processing technologies into the following groups. It is not the structure or chemical composition of the biofuel that change in the following categories, but their feed stocks and the extraction or processing technologies from that feed stocks changes from one generation to another. First generation biofuels are mainly produced from food crops. The most common first generation food crops are corn, wheat, sugar cane, sugar beets and rapeseed. Sometime animal fat and vegetable oil are also included in first generation biofuel Feed stock. Fermentation of sugar or starch for the production of alcohol based fuels. Transesterification process (when triglycerides react with alcohol to produce fatty. acid esters and glycerol) for the production of biodiesel. Anaerobic digestion process for the production of biogas. Gasification/pyrolysis process for the production of syngas. As the first generation biofuels are produced directly from food crops, they have potential of threatening the food chain. In addition, when produce commercially their intensive growth requirements and increase in carbon emission stand out as major environmental disadvantage. 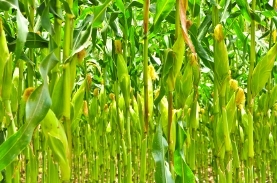 Second generation biofuel emerge to provide a solution to food vs. biofuel debate. The feed stock used to produce the second generation biofuels are generally not food crops and residue/ waste of food crops (after a food crop has served its purpose like waste vegetable oil). So it is anticipated that second generation feed stocks will be grown on non agricultural land to reduced its competition with food production. It is also expected that a second generation feed stock should not be needed a huge amount of water and fertilizer; mainly to prevent environmental upset during their mass production. So second generation feed stocks are mainly grasses like switchgrass, myscanthus, Indian grass; Jatropha and other seed crops like Cammelina, oil palm and rapeseed; waste vegetable oils and municipal solid waste like organic waste and yard waste. Third generation biofuel mainly referred to the biofuel produced from algae. 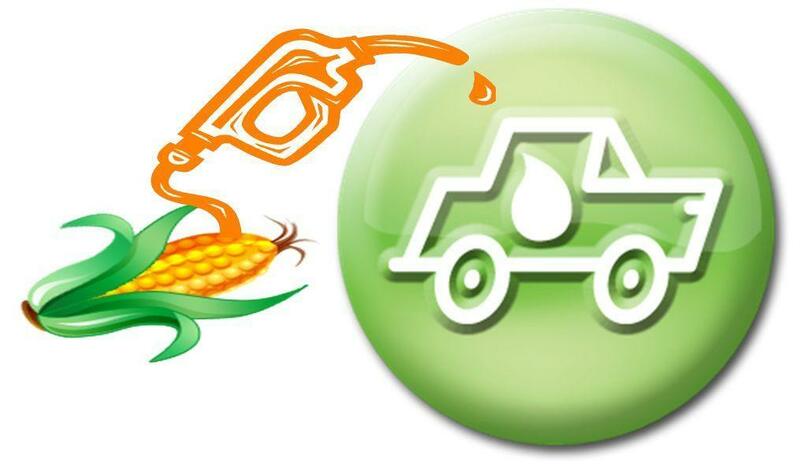 A wide range of biofuel can derived from algae including biodiesel, ethanol, butanol, gasoline, vegetable oil etc. Other than fuel diversity algae also offers an outstanding yields, generally ten times higher than other second generation feed stocks (US Department of Energy). In general, several pre-processing steps are required for extracting biofuel from feed stocks especially for the lingo-cellulosic ones. Currently different thermal, thermo–chemical and biological conversion techniques are used either stand alone or in combination (depending on the feed tocks) for producing different types of biofuels. Some of these processes are gasification, pyrolysis, torrefaction and fermentation. These processes are described in details at the Biomass Energy page of this site. The fact that we have a limited land area starts the whole food vs. fuel debates. With the increase in population the demand for both and food and fuel increases. But with the land limitation we can concentrate in growing only one to maintain its cost, supply and affordability. In such situation, of course food has the priority especially for the developing countries. This is the sole reason for the second generation feed stocks for biofuel generation gaining attention and popularity. Biofuel are claimed to be carbon neutral fuel as theoretically the Feed stock plants consume almost the same amount of carbon dioxide it generates as fuel. But previous research (a 2005 study in Cornell university) suggested that the whole production process consumes actually more energy than that gets generated from the biofuel. In addition, biofuel generates other green house gases too like nitrous oxide. So, biofuel still contribute in global warming even though not in a significant way. Go Back to the Alternative Energy Home! Go Back to The EcoAmbassador Home!